Oh man. It seems like every time I write a new post I'm always writing about being gone from the blog and how I plan to catch up. But the reality is -- I don't plan to catch up on posting. I don't have a strategy. 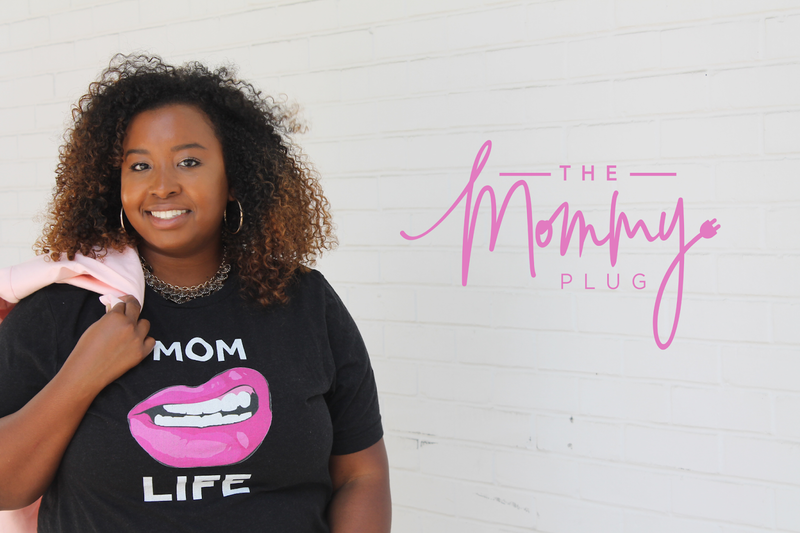 Originally when I created The Mommy Plug it was an outlet for my corporate america lifestyle. But then as life happened and I became more involved on social media I noticed that so many bloggers were monetizing on writing blog posts and becoming influencers. So that's when my attention turned to 'how can I become an influencer?' or 'how can I monetize my blog?'. Those thoughts were so heavy on my mind and I wanted it so badly but that was never my intention were I first created this blog. So that's when I had to make a decision to continue blogging without any hype or care about the number of pageviews. First world problems right? Sounds selfish right? Because I have a family to take care of, little babies to tend to and a husband to grow old with. But MAN do I miss riding down the highway with my music blasting or working out at any time I choose to. So this year I choose ME -- mainly because I've invested my entire 'mid-20's' to my babies and this life we're building but what makes me happy? How do I get back to those moments in this new life of mine? Well I can answer that -- by scheduling time for self-care, by forcing myself to attend workout classes, by hiring a babysitter for date nights. 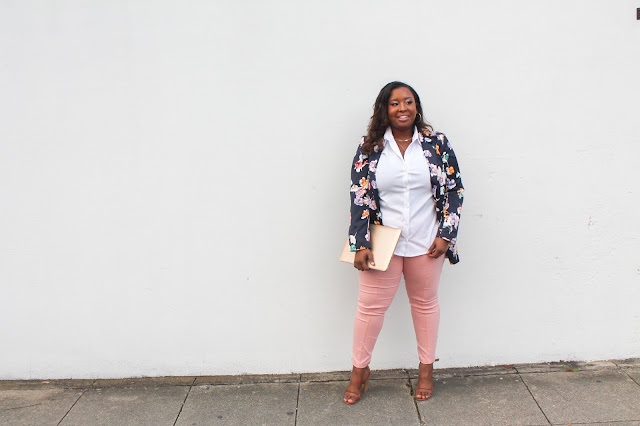 Anyway, I'm trying to say I've held back for some time now because I was afraid to share them because of judgement or fearful that I didn't fit in with all the other fashion & lifestyle bloggers. Getting back into the swing of being a career woman again -- so as many of you know I started my Corporate America journey right after undergrad (READ MORE HERE) & I am so grateful. In my new position, I have the opportunity to learn from some very experienced professionals and they are so WILLING to teach me. I haven't come across many individuals that genuinely want to see you win. 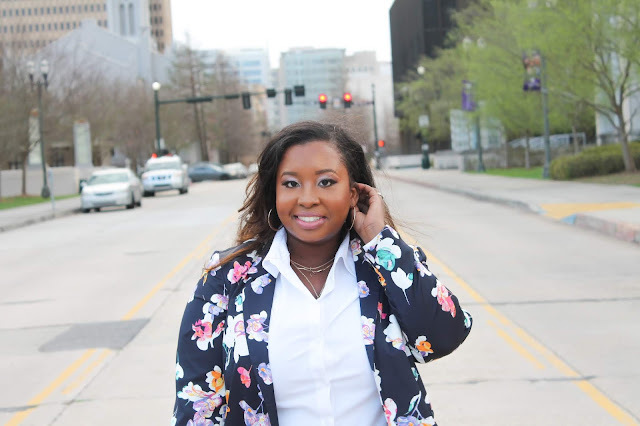 I'm currently pursuing my MBA in Project Management and this opportunity has given me hands-on experience that I wouldn't have gotten in any other workplace setting. This means that you can plan your life day by day or a 5 year plan -- God will ALWAYS be in control. I didn't plan to be where I am today or employed where I can gain hands-on experience for my MBA but guess what -- God ordered my steps. As a little girl, I grew up SET on going to college to become a pediatrician mainly because I saw my mom in the medical field my entire life. It seemed like ‘the right thing to do’. Once I got to college I was set on becoming a nurse (because you know it’s still in the medical field). To be honest, I wasn’t good at it. I tried my hardest but I couldn’t grasped the concept of Biology or anything science related lol! I was failing my classes mainly because I was also partying a lot. So the hard truth came to punch me in the face (not really lol!) my brother came to the dorms and talked to me about changing my career path. I enrolled to do Industrial Engineer — because that’s what my brother graduated in. Then he finally asked me okay what are you passionate about? What do you enjoy? I really didn’t know how to answer. Then I looked back on my childhood & quickly realized that I loved Computers & anything Technology related. At that point is when I switched my major to Computer Science then Information Systems. Here’s the truth about college or continuing education in general. The courses equip you with the knowledge but will never equip you with the years of experience. So you spend 4+ years in undergrad trying to find yourself because it’s the first time you are away from your parents, your hometown, & your childhood friends. Now you’re responsible for feeding yourself, clothing yourself and providing financially for yourself. LOL! Do you understand how hard that is for an 18 year old?! On top of all of that you are also responsible for attending all scheduled classes. It can be a lot especially for someone that has never left home & depended on mommy and daddy to provide for them. The truth about college is that you’ll never feel prepared. You’ll never really be ready for ‘said’ job that you are applying to before graduation. And once you are hired (after getting a crap ton of rejection emails for not having enough experience) you’re suppose to attend work daily to ‘get on the job training’. The world and its expectations are really funny. So if you’re reading this and you’re a recent graduate — this is a message to you. You’ll never feel ‘prepared’ even after all the internships and resume writing courses. Experience will always triumph education. That’s jus the honest truth. Resume writing lol! I’ll do a separate post for just resumes. Being an entrepreneur and MBA student and mom and wife -- that means honestly I have no idea what it means but I know how it feels. As an entrepreneur I started my venture out with logo designs and web design (more on this later) but after a 1.5year in business I realized that logo and web design wasn’t my forte -- not the I am incapable but simply because my God Given talents were meant for other areas. 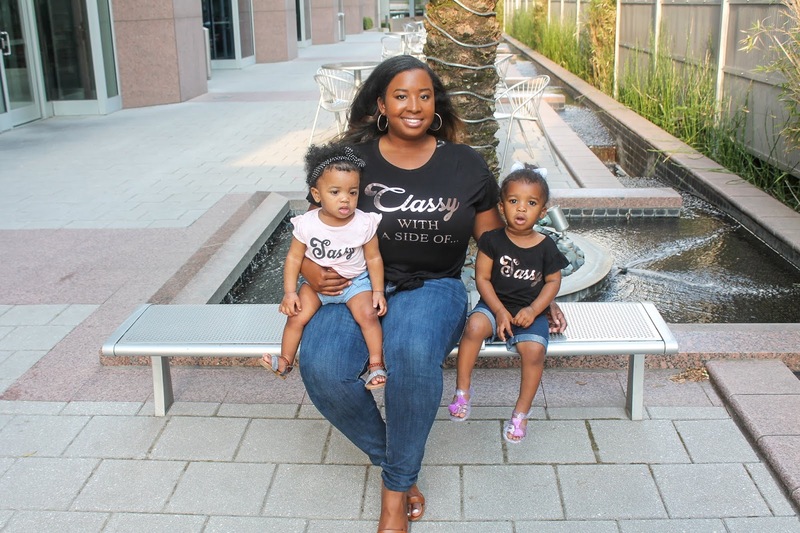 As a multifaceted woman, I felt torn between so many parts, how can I automate, how can I focus on my family when my business is booming, what do I do when I don’t understand something in my business? Being an entrepreneur for me -- I’ve learned very quickly that it was using so much of my energy that I longed for the day of being a stable employee of a local company again. I wanted this business owner lifestyle right? Let me tell you what the “Instagram Influencers” don’t tell you. The journey to the top or atleast getting your feet wet is NOT pretty. I have no clue what self-care is simply because we currently do not have a babysitter. So Fridays we have date days to compensate for the weekends when we can’t go on dates. So what am I a full-time entrepreneur of? I guess I should break that part down. 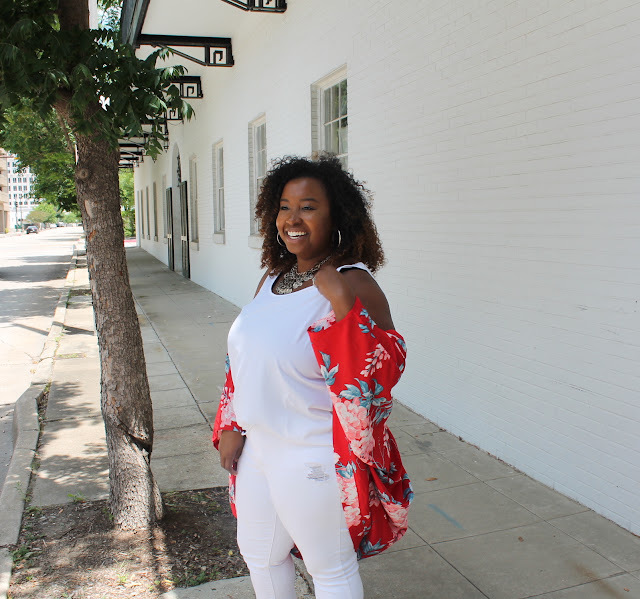 Owner of T. Major Design this is where I create artistically digital designs and social media plans for small businesses and brands. Owner of XOSO Boutique -- Hugs & Kisses Savannah&Olivia my wish is for my girls to take over this store once they become old enough to understand how to operate a business. When I get an idea in my head I just go full fledge and just start putting things together -- it’s a gift but the creation at times can turn to look rush. So I have to remember to take a step back and really dive into what I am trying to produce & who will it benefit. At times I get so excited about my ideas and I’m like okay let’s just go for it but my husband is GREAT for snapping me back into reality. This is a great example so once I got laid off I was like “this is a perfect time for me to push my boutique really hard & I can accomplish so much because now I have free time”. My husband was like… you need to remember who you’re doing it for. You are doing it for these little girls that look up to you not for yourself. At times I do forget that I have 2 littles looking up to everything I do & depending on me. 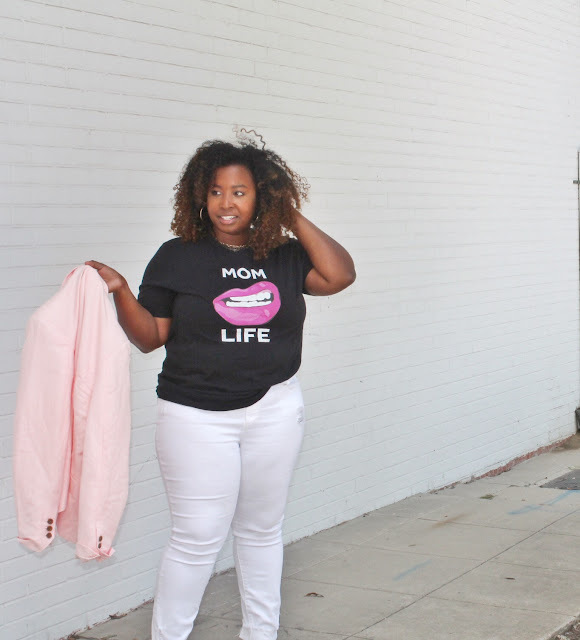 It’s like how do you find balance between being a mom, wife, career woman & entrepreneur? I realized that the entrepreneur life just wasn’t 100% for me -- once I was able to really have time to focus on it. Yes I can sell myself but how can I sell to other people? Like how. I slick feel like I’m having copy cat syndrome some say imposter -- I’m saying copy cat. Because that’s strictly what it is. As I’m browsing social media and all of the “bloggers” I follow I’m like dang what can I do to be there? Since being laid off I’m constantly thinking what should I be doing. It’s so difficult not to compare yourself to others when in the position I am currently in. It hurts to be honest. In my most difficult times I find enjoyment in risks and challenges. What can I do to be different? Well the first thing is my blog posts. I’ve been blogging since Xanga was a thing and influencer marketing was never heard of. My blog posts aren’t for the science of blogging but strictly for the pleasure of myself. What can I do to better myself? Relieving all my thoughts and emotions on to my blog posts as I’ve always done makes me so happy and a bit more stress free -- not 100% but just a bit more. Deciding to pursue my MBA after having babies 15 months apart. How do I do it? Why do I do it? Honestly I never really thought about it. I say to my husband all the time that I am a “do-er” -- when I set my mind on something I just start whether I succeed or fail atleast I know I tried. I view this a great outlook of life -- if I contemplate an idea for too long then it'll never get done. Currently working on automations and systems in my business so that I'm not constantly doing things last minute. My husband complains alot about my cell phone usage and being on social media. My reasoning is "it's my job" -- that may be somewhat true but it isn't fair to my family to constantly be on my phone. How do you balance work & life balance with a family? My baby girl Olivia has had it SO GOOD compared to our oldest daughter Savannah -- Olivia has slept in our bed multiple times for an entire night. With Savannah we were super firm in not allowing her to sleep in our bed as soon as 6 months old. This go round we went more lenient on Olivia because she sleeps in the same room as Savannah. So we wanted to make sure that they weren't causing any extra noise for each other. I continued to ask my husband when would be a good time for Olivia to fall asleep by herself until one night I just decided to just go from it. 1. Start off SMALL: Start by introducing nap time in your baby's crib this will allow for your little one to get familiar with their surrounding and the idea of sleeping in the crib alone. This may not be easy for some easily for those that co-sleep but I would suggest rocking your baby to sleep and leaving a blanket or your shirt (because of the scent) in the crib as you quietly slip out of their nursery. 2. JUST START: Okay now this tip may or may not work for some babies. With both of our kids we allowed them to cry it out at a certain age. Of course after ensuring that they are full and dry diaper but allowing them to cry it out gives us an idea of how far along they've come and how much work we have left to do. Savannah cried it out until she was about 22 Months. So from 6 to 22 Months she cried it out. We would stop by momentarily to make sure that she was okay but for the most part crying it out has been our go-to. 3. Be Patient: It won't happen over night but your patience has to be STRONG. When baby starts crying don't be in a hurry to pick them up. Wait it out for atleast 30 minutes -- if baby continues to cry then step in & pat/rub baby on the back to encourage them and let them know you are still there BUT YOU WILL NOT PICK THEM UP. 4. Phases: So Tip #1 was to start off small -- As your baby begins to sleep for naps for longer periods or times. 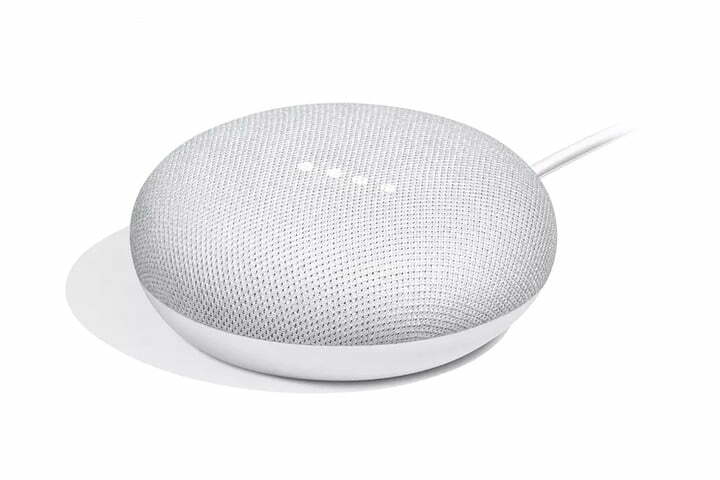 This is your signal to start allowing them to sleep in the crib at night. Your baby will try the same tricks as she does during the day for nap time and of course at night you're SLEEPY so that's why tip #5 is so important. 5. Bedtime: Babies NEED routines. If you think one night baby can go to sleep at 9P then the next night at 7P -- nope that will not work. In our house we try to make sure we are at home during bedtime which is 7-7:30P. This trains your baby to be sleepy at a certain time. Once you put baby down for bedtime be FIRM just like naptime to refrain from picking her up. Just so you know -- companies are NOT that excited about you being pregnant for 9 months THEN having to take 6 to 12 weeks maternity leave. I’m like dang man. Life is really just getting to me. Then my husband steps in as usual and tells me 'YOU GOT THIS. ', God has us. It took me probably until my 2nd trimester to really be comfortable in my 2x--15months later pregnant self. I felt the urge to post and vent and let out everything I was feeling at that moment in time but I couldn’t. I couldn’t simply because my job and employer was watching my every move. Every day and prayer I asked God to grant me the opportunity to work for myself. If no one else believed in me or my dreams -- I knew that God believed in me and that he wouldn’t give up on what I was trying to accomplish. I wanted to be a blogger, a digital designer, an influencer, a boutique owner. Like all of this came to me after I gave birth to my first child -- it’s like once I physically gave birth I wanted to birth new ventures, new opportunities, new legacies. Basically anything that gave me pleasure and joy I wanted to push it forward -- but it in front of an audience. The reality of me still working at an office job set in & I began to regret everything I did as a corporate professional. I didn’t feel like I was progressing in my position and I definitely wasn’t seeing any type of promotions. As I gave birth to my second child I began to feel resentment settling in -- resenting my position at my current job and longing and wishing more and more to become an entrepreneur so that I could spend time with my family. I longed for the time where I was on maternity leave doing whatever I wanted and moving so freely around town without worries of having to drive into an office. So here goes…. I was laid off exactly 6 months after giving birth to my second child. The moment I wished and waited so patiently for happened and turned me into a full time entrepreneur. Let’s recap that time in my left when I felt so useless and pointless -- I think all moms wish and want to become a “stay at home mom” but what does that really mean? Okay let’s rewind… after I returned to the office I was given an option -- to share an office with 2-3 other people WHILE NEEDING TO PUMP BREAST MILK AT THE OFFICE and having to ask them to leave. (I’m pretty sure that’s illegal but whatever.) or the other option was to work from home and come into the office for meetings. Of course this mama wanted to stay at home while the kids were at daycare I pictured all the work I could get done at home without any interruption. So 6 months into me returning back from maternity leave I was given the option to either be laid off or to move to a different state to work at the corporate location. …….how did I end up here? I was just working at IBM (Fortune 100 company) where I was pictured as a somewhat successful graduate. Now you’re telling me I’m being laid off at a position I’ve been at for almost 2 years because of internal issues. This was not the life I pictured. The day before I was officially laid off -- I text my best friend and told her “I feel like I’m going to get fired. I’ve never had this feeling before but I know it’s going to happen”. Well I didn’t exactly get fired but I was let go of a job that I put my all into. I came to the thought of the company no longer being satisfied with my work besides the fact I just had given birth again -- no maternity leave pay or anything that would affect the company. But it was time for me to move forward and I would have never pushed myself to an uncomfortable position to experience entrepreneurship full time. Oh how I thought I was so really to venture out into this full time entrepreneur. I was wrong. Yes I am an entrepreneur but I am still working at perfecting my processes and automation -- I look at IG influencers and bloggers and I'm like dang they have it so much together but in reality no one really does. As I plan for The Mommy Plug for be such a "perfect blog" -- I have to take a step back and realize that social media does not defines my life. Follow me on my journey as I continue to press forward & pursue my dreams or career which ever comes first lol! I held off writing blog posts for seven months simply because I was going through life. I’m back to reintroduce myself to let you know where I’ve been that’s leading me to where I’m going. Let’s rewind back to 2015 -- my husband and I met during our time as business consultants you can read about our relationship and marriage HERE. It wasn’t completely “love at first sight”. It was more of like I love good conversations with you & you’re dope let’s connect. We hit it off as friends that turned into so much more. Once I told him about my blog -- he became my number one fan. We grew into more than just friends in a short amount of time & we eventually got married & birthed a baby girl all in a time span of a year. Thinking back on it I’m like dang we were so in love with each other that we just sped on life time milestones in a matter of 12 months. 12 Months into us being married and having a baby girl --we both moved from our travel Business Consultant life to local positions to focus on growing and tending to our family. My husband and I were fortunate to find some really great positions that offered us a bit of flexibility and great benefits. We had to not only grow but also love each other as parents -- love each other as friends like when we first met. Those 12 months of being married and giving birth was really a self-evaluation for myself of where I was currently in life and also no longer having get travel perks with Delta Airlines & National Car rentals! Then 15 months into our new little family -- I find out that I am pregnant. What in the world?! This is where I’ll break it down for you. I. WAS. DEPRESSED. When I found out I was simply taking the test as a precondition because I was breastfeeding my first and also taking birth control. This birth control was instructed to take ONCE a day at the SAME time each day. I had forgotten to take my birth control for weeks and didn't look back because I was on my home natural kick like 'yeah birth control isn't good for my body no way'. When I say depressed -- I wasn't clinically diagnosed but I seriously sent an email to my gyno stating that I could not go through with this pregnancy and I needed to see her SOON. She's the most loving and family friendly doctor she treated me like a sister the entire time. I swear I only got through my pregnancy because of her encouraging and motivating words. 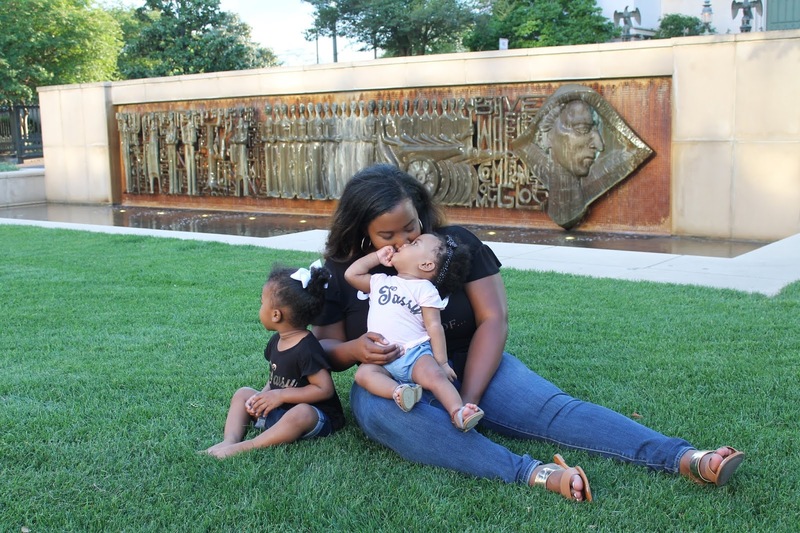 This pregnancy was really all a blur for me -- I felt like I was being a bad mom to Savannah because she didn't understand the concept of me being pregnant orthe concept of a new baby coming home with us. It was all just a dream to me that I eventually woke up from and had to live in the real life of what really was going on. Watching both of my girls interact with each other brings so much joy to me & my husband's life I could have never imagine this type of love in my wildest dreams.